Thanksgiving leftovers rank at the top of the “best of” Thanksgiving list. Who can resist a fabulous turkey sandwich with cranberries, gravy and stuffing? However, before you bite into that tasty masterpiece, think about this: Each year, over 400,000 people suffer from food poisoning after consuming Thanksgiving leftovers. Follow these food safety tips to avoid becoming a miserable statistic. Sometimes, Thanksgiving leftovers are better than the actual Thanksgiving meal. However, the leftover goodness doesn’t seem so great if you’re struck with food poisoning. 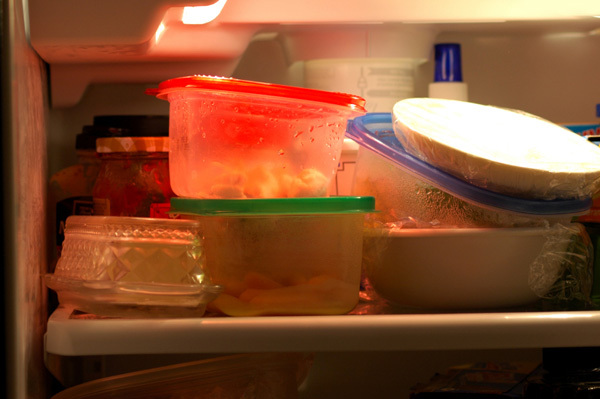 Believe it or not, over 400,000 people get food poisoning from Thanksgiving leftovers each year. Hoping not to become one of the 400,000 sickies? Sounds like a good plan. Use these food safety tips from the FDA to avoid foodborne illness. Assuming you’ve followed the basics for preparing your Thanksgiving dinner, don’t overlook the importance of properly handling the food after the meal has ended. Follow these food safety tips to avoid turning your Thanksgiving leftovers into bacteria breeding grounds. WebMD reports that the “danger zone” is between 40 and 140 degrees F. — meaning that if your food sits at these temperatures for too long, it’s at risk of becoming contaminated with bacteria that can run rampant. Do not leave food at room temperature for more than two hours max. If you happen to be at Grandma’s house and she’s a fan of keeping the heater cranked, food cannot sit at room temperature for longer than one hour when the room temperature is 90 degrees F. or greater. The sooner you can get your Thanksgiving leftovers to the fridge, the better. There’s no need to allow the food to cool to room temperature before transferring to the fridge. Split Thanksgiving leftovers into small, shallow containers for storage in the refrigerator. …throw it out. We know, we know. Who wants to throw out those delish foods? You do, as long as you don’t want to spend a few days curled up on the bathroom floor. If you don’t eat properly stored turkey in three days and the gravy in two, toss ’em. Additionally, if you’ve missed the boat on these food safety tips and failed to properly refrigerate your Thanksgiving leftovers in the two-hour window, chuck them in the trash. Better to miss out on that fantastic calorie-laden leftovers sandwich than endure food poisoning. Remember to follow these food safety tips. Foodborne illnesses are miserable at best and severe or life threatening at worst.